The needles used in the extraction of follicular units were designed by Dr. Keser and were approved by the Turkish Patent Institute in September 16, 2003. For international patenting, a PCT application has been filed. These needles enable the removal of the hair with the surrounding microscopic tissue from the donor site without any damage to the hair root. The needles have a specially designed tip of 0.6-0.9 mm in diameter and are in a lumen (tube) form. About 6-8 mm of the distal part of the needle is inserted into the skin and then withdrawn. This process resembles that of a complete removal of a plant with its root from the ground. Similarly, the hair and hair root is completely extracted from the scalp. The grafts (FU) harvested through this process are then transplanted into the hairless area. In implantation process, the needles mentioned above aren't used, but injection needles with 0.6-0.8 mm diameters. Dr. Keser was the first in Turkey to perform the FUE method. He started his scientific studies by late 2002 and based his experiences on scientific grounds. In departents affiliated to universities in Turkey and in the USA, he designed and produced a Follicular Unit Needle, after 20 months of research studies. This specially designed needle are a self-design of Dr. Keser and all its rights belong to him. With these needle the extraction of follicular units without a loss of anatomical unity has been possible. The needles was approved by Turkish Patent Institution in 2003, and PCT application for international patent has been filed. For any question or further explanantion regarding this, please email me. Do you have any pictures or videos of the extraction needles? It sounds interesting. Is dr keser in ishr physiasians?
. These needles enable the removal of the hair with the surrounding microscopic tissue from the donor site without any damage to the hair root. The needles have a specially designed tip of 0.6-0.9 mm in diameter and are in a lumen (tube) form. About 6-8 mm of the distal part of the needle is inserted into the skin and then withdrawn. This process resembles that of a complete removal of a plant with its root from the ground. Similarly, the hair and hair root is completely extracted from the scalp. Derma-Plast, the above quote would indicate that your doctor performs this surgery with no transections at all, i find this hard to believe.In a typical "FUE" extraction the punch will stop above the hair root, are you saying the needle go below the bulb? Injection implanters sounds too much like the Choi implanter. Be interesting to see this in action. You can check on their website. Is there a particular reason you need to know. Do you remember the hairline clinic? It was an outfit from Turkey that set up a while ago in Ankara? Well the owner of the clinic used to be in business with Dr. Keser before setting up Hairline Clinic. From the information I have gathered, Your best bet would be to keep away from this clinic and team. From what I can gather they aren't the most ethical outfit out there. Yea i`d like to see the implanter also having had the Choi experience. I don't know what are you trying to say referring to a FUE procedure attempted "with no transections at all." If a sharp punch were used during extraction it might transect (severe) the underlying follicular unit, making it unusable for transplant. In a typical FUE extraction a sharp punch cuts the skin around the FU, then a dull punch is used to go deeper, envelop the hair root, going as deep as necessary down the hair root to safely extract the follicular unit, without causing damage, a process often called "blunt dissection." 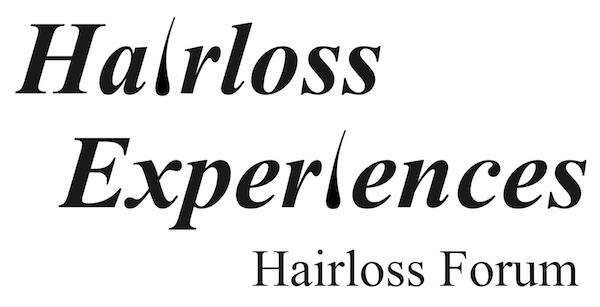 Dr. Keser's method involves the removal of the follicular unit without any incisions or sutures. Extraction of the units is performed with specifically designed needles of various diameters and tips. The Follicular Unit Extractor is a needle of less than 1-mm diameter designed by Dr. Keser and patented by Turkish Patent Institute in 2003. The needle is held closer to the scalp so that the lumen points at the middle of the hair and is inserted as far as 6-7mm at the growth angle of the hair and then pulled out. Therefore, the hair is cut out along with follicle and surrounding microscopic tissue in a cylindrical shape http://www.derma-plast.com/eng/derma-plast.com/drkeserFUEvideo.html. It is then pulled out gently with a micropenset and the follicular unit is removed by extrication from the loose floor. Enrique, if you cut the skin, that is an "incision" so you cannot claim the surgery is performed without incision. From what I can gather regarding your process, you use a two step scoring process, and you mentioned a "micro-pen" extraction.....which sounds like your using the Choi extractor/implanter to carry our your surgeries. I also have a question as to 6-8mm deep ---generally 4-5mm is sufficient. The only reason I can see going that deep is if after you make the incision, you insert some type of holding "pen" then pull the graft out---stretching the "loose floor" tissue then snipping it off or tearing it out. Additionally, are you claiming you have NO transection as a result of your technique? Every clinic has a very small transection rate. Even the best of the best will have a certain percentage. No one can claim none. I know the work posted looks good but the nitty gritty details are definitely important. I know that it is a matter of semantics but like Bspot said--you can't claim that there is NO incision. Certainly however, FUE is minimally invasive. I agree with B spots and NNs posts. Enrique,whats your opinion/answer on this subject. In the Derma-Plast clinic a 1-5% transection rate occurs during the extraction phase. Dr. Keser is very careful to keep this number as low as possible, but as the angle and direction of the hair follicle is unpredictable so there is a percentage of transections. As stated before, Dr. Keser's needles were specially designed by him, and have no relation with the so-called Choi implanter. Dr. Keser's procedure, using 0.6-0.9 mm diameter needles, is minimally invasive, and there are incisions, as in any FUE procedure. E... 1-5% is excellent....but your being a bit vague concerning your procedure....if you just do not want to say, I will leave you alone and not ask anymore questions. How do you extract the grafts after scoring them? Does Dr. Keser (using his own special tools) use some implantation device to insert grafts into the scalp? Looking at your docs website it says the following which is not true. Fue does not involve incisions and suturing.Follicular units areremoved with specially designed needles individually and no scars are left in the donor area. Below is the extraction process,just click on the picture. All "FUE" leaves some form of scarring. appreciate the video--looks like the work is being performed in a very controlled manner. I generally dislike the use of needles, preferring custom blades to make incisions, but it seems like the work is solid. The whole non-surgical/scarring thing is a pet peeve of mine however. You may find some of the information on Derma-Plast website inaccurate, and may take exception; but to this you shouldn't misconstrue as deliberate untruthfulness or false marketing, as it's being argued, or take away from the otherwise sound medical procedures expounded there. 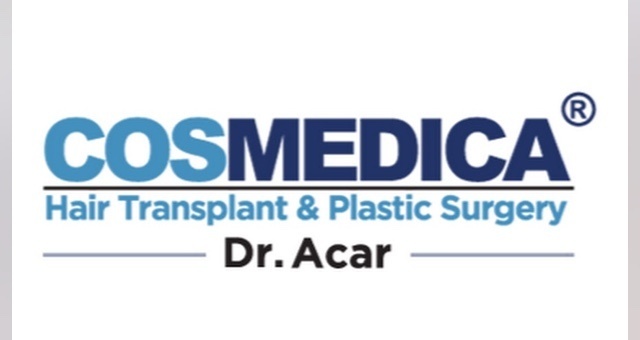 Derma-Plast website is over seven years-old and contain some errors, which are not Dr. Keser's fault; and and all of these errors are in the process of being rectified. Dr. Keser's FUE method leaves minimal scarring, not visible under a normal length - longer than 3 mm haircut -, using the thinnest needles (0.6-0.9 mm dia., as said before) and the right procedures to complete the extraction. Only about 30% of the donor site is usually harvested. It's nothing like the linear scar left after a strip procedure. In the coming days I hope to get hold of a video that will show he proprietary needles that were used to extract and implant the hair follicles. I hope you will judge Dr. Keser's work fairly, based on his proven cutting-edge techniques and the cases posted here. I'll look forward to seeing the latest videos when you have them available. Interesting seeing the planting technique - like a drop down into slot method, which I have not seen before. I would think the needle size has to be on the bigger side to "drop" in so easily. One thing for sure is that the planter cannot squeeze/damage the follicles with this method. What density per cm2 are you able to plant?